Custom Home: The Flynt is sophisticated modern living at its best. The streamlined Flynt creates an impressive living space, Ceiling high glass panels used throughout creates a light, airy and inviting interior centred around a grounding raw concrete pillar that houses a two sided fireplace. Clever use of louvres creates breezeways between the four impressive bedrooms, which are divided by the spacious open living and dining area. A media room and study adds to the functionality of this home. Capitalising on the vast outdoor space, the kitchen area opens out onto one of five outside living areas. The landscaped pool creates a focal point, with timber decking used to frame the home. With its modern exterior and inviting living space, the Flynt is a timeless classic that takes contemporary living to the next level. This custom home can be altered to suit your dream. David Reid Homes is ‘Raising the Standard’. This isn’t just a motto for us , it is something we take very seriously in everything we do throughout our company. 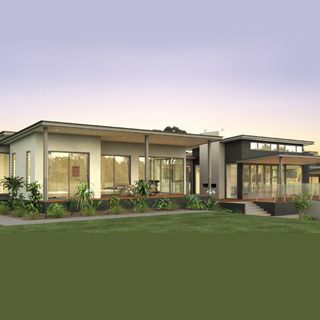 We aim to deliver a home that exceeds expectations in design, build and aesthetics. We also want to ensure that the process from start to finish is exceptional. To do this we set extremely high standards for our entire team at David Reid Homes and want you to know that your ‘standards’ are our priority. Each individually designed home will be unique as no two David Reid Homes are ever the same. Our designs reflect each individual homeowner’s flair and creativity and are tailored to complement their unique geographic setting. We pride ourselves on the level of customer care extended to our clientele. This superior service starts with your unique design and is carried through all aspects of our management of your home build: including the products we use, suppliers and master craftsmen we work with, our attention to detail and our engagement with you throughout the process. 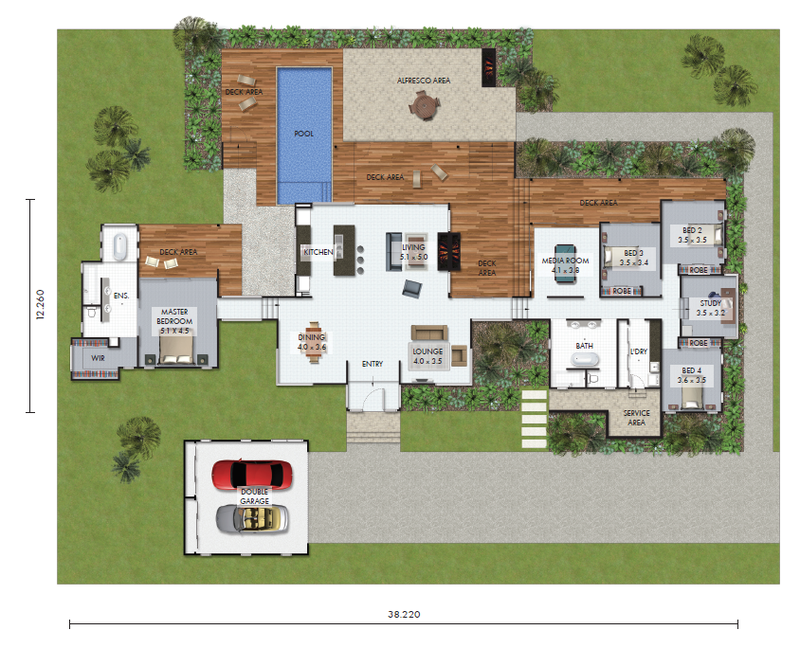 We treat you as we would want to be treated, when building our own luxury custom home. The real David Reid Homes difference lies in the overall quality of our build and the range of superior luxury inclusions. Our 12 Points of Luxury Difference are 12 key appointments to your home that will complement your modern living to give you superior comfort and eco-efficiency. To name a few, the list features ducted air conditioning, pure wool carpets, floor to ceiling tiles to bathroom and ensuite and stone benchtops. It also includes a prestige range of innovative, smart thinking appliances. As communication is one of David Reid Homes’ core values, we pride ourselves on providing weekly building updates on the progress of your new home.